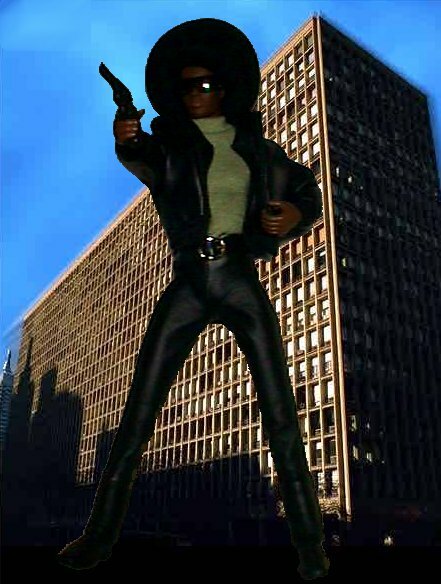 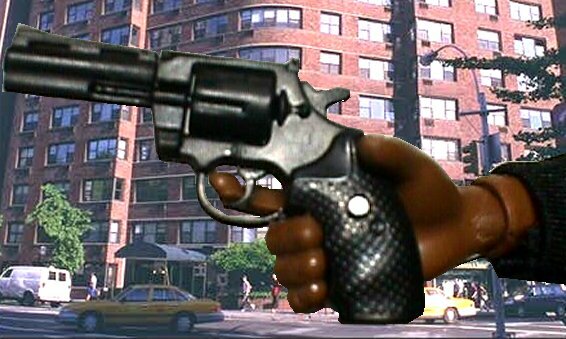 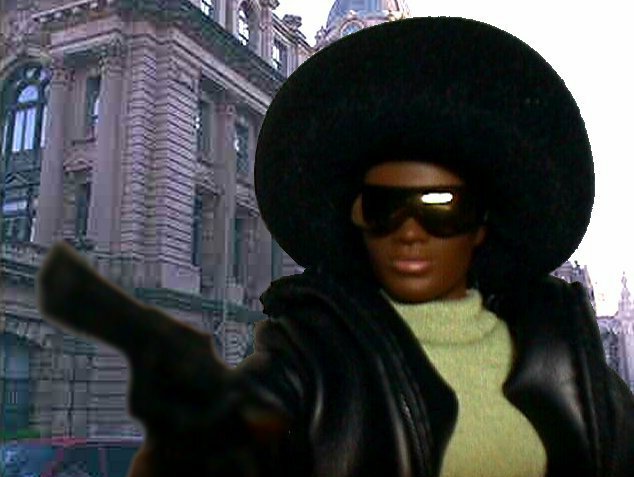 From the pages of Marvel Comics' "Iron Fist" comes tough-as-nails Private Eye Misty Knight, the one true love of Daniel "Iron Fist" Rand, and partner in the Private Eye firm "Nightwing Restorations"
Misty carries a Colt Python .357 Magnum revolver. 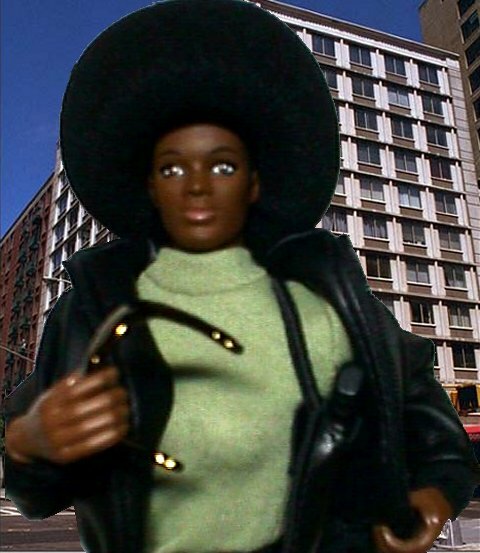 Misty is a GI-JOE "Viet Nam Nurse," wearing leather pants from a skater doll, the leather jacket from a Pepsi "Generation Girl" doll, cowboy boots from a party-favor set, Yamato Kelly's holster in a shoulder-rig, and a custom belt. 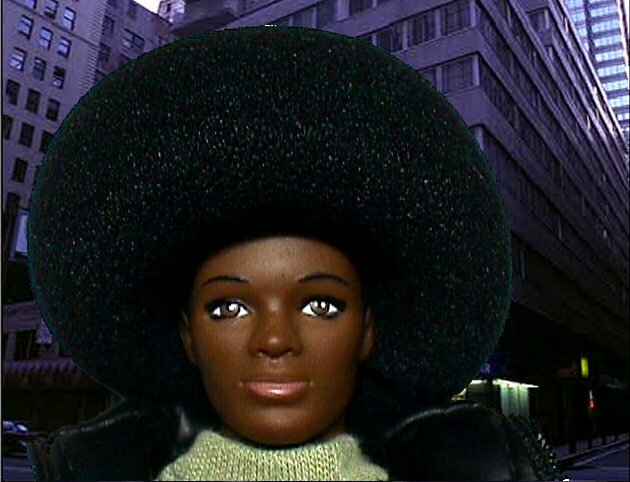 Her afro is a foam-rubber microphone cover.